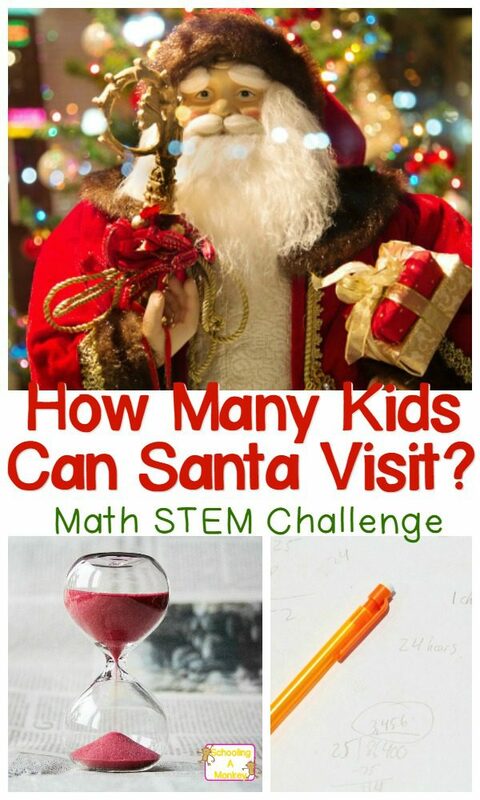 Math STEM Projects: How Many Kids Can Santa Visit? Math is never as fun as when Christmas is involved. 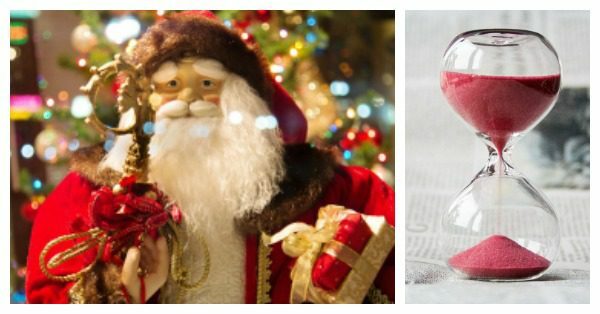 In these math STEM activities, kids will find out exactly how many kids Santa can visit on Christmas. Christmas is an exciting time for kids. The puzzle of Santa is always something kids like to think about during this time. How does Santa visit all those kids in one night? 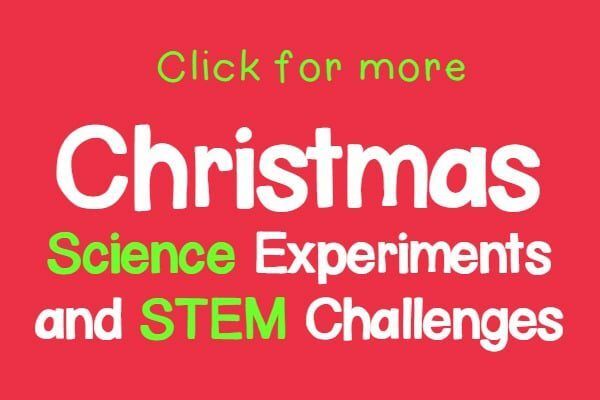 We decided to take this question and turn it into a fun Christmas STEM activity for our kids to try. In our project, we assumed Santa isn’t magic and actually has to take time to visit every house. This made it easier on our math calculations. 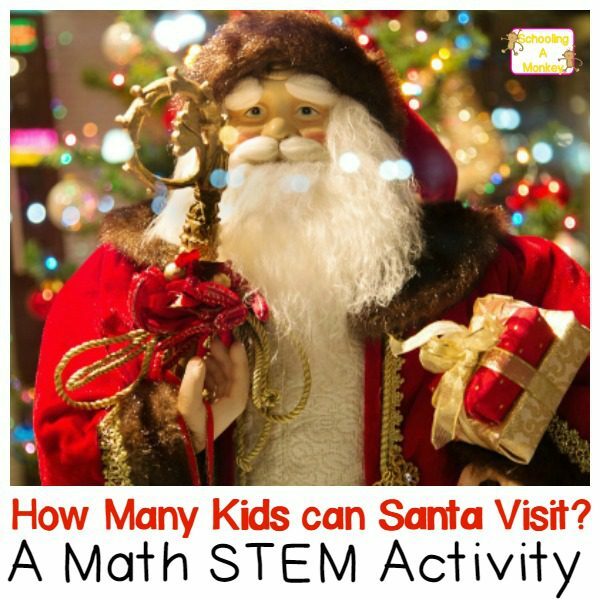 Math STEM Projects: How Many Kids Can Actually Santa Visit? This was definitely one of the most fun times we’ve ever had doing math. Who knew there was so much math involved in Christmas? First, we had to determine how long it takes to deliver presents. 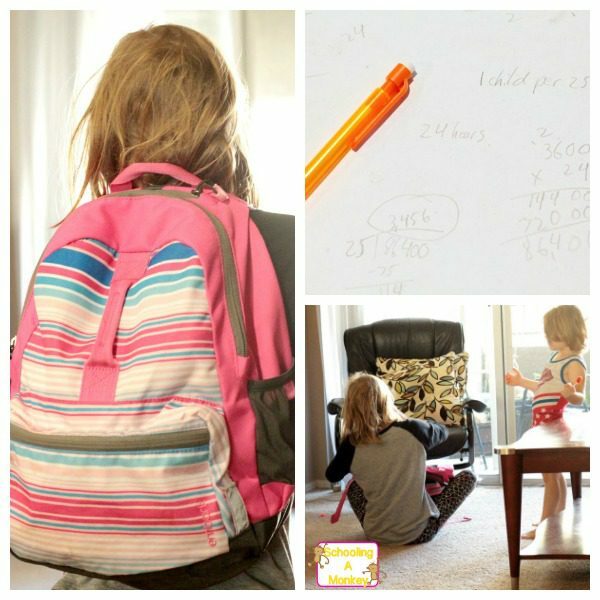 We thought every kid probably gets an average of four presents each year, so that is how many toys Monkey put in her backpack. I timed her as she raced from the door (no fireplace in our house) to our designated “tree” (a chair) and unpacked the gifts. Monkey repeated the time trial six times. After recording her delivery times, we averaged the numbers to find the average delivery time, which was about 25 seconds per kid. 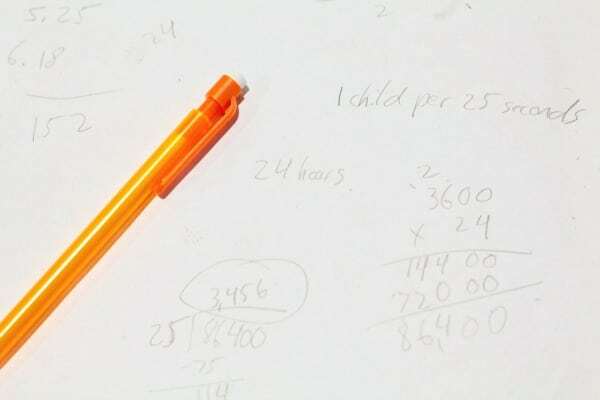 Next, I had Monkey calculate how many seconds are in 24 hours (86,400). After figuring out that, Monkey divided 86,400 by 25. Her answer was that realistically, Santa can visit no more than 3,456 kids each Christmas. Lucky Santa is magic, right?